Well, summer is officially over and we can already feel that “fall chill”. Pretty soon it will be time for us folks up here in the Northeast to turn on the heat and hibernate in our homes to shelter us from the freezing cold weather in the winter. For some, thoughts and dreams of being on the beach and smelling that warm, fresh ocean air will come to mind during the coming cold fall and winter seasons. 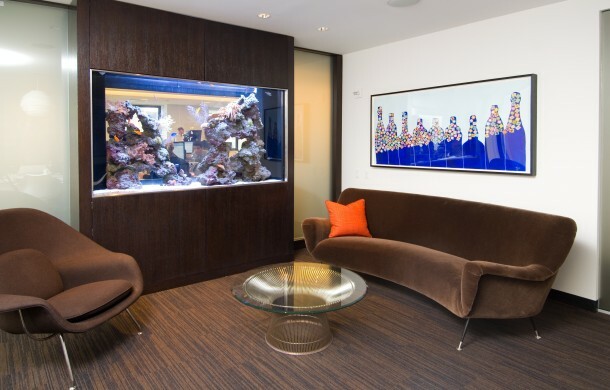 To those people that I’m talking about – imagine having your dreams come true by owning a saltwater aquarium display in your home or work environment. Since the ocean provides much needed relaxation and peace, a saltwater aquarium in your home or office will make you feel like you’re near the ocean (or snorkeling/scuba diving near a coral reef as this post photo shows)…rejuvenating your soul and relieving your stress just like a beach vacation does. Please browse around our website to learn more about our products and services. Our aquariums are very unique, and you will be surprised that we provide much more than a fish tank!